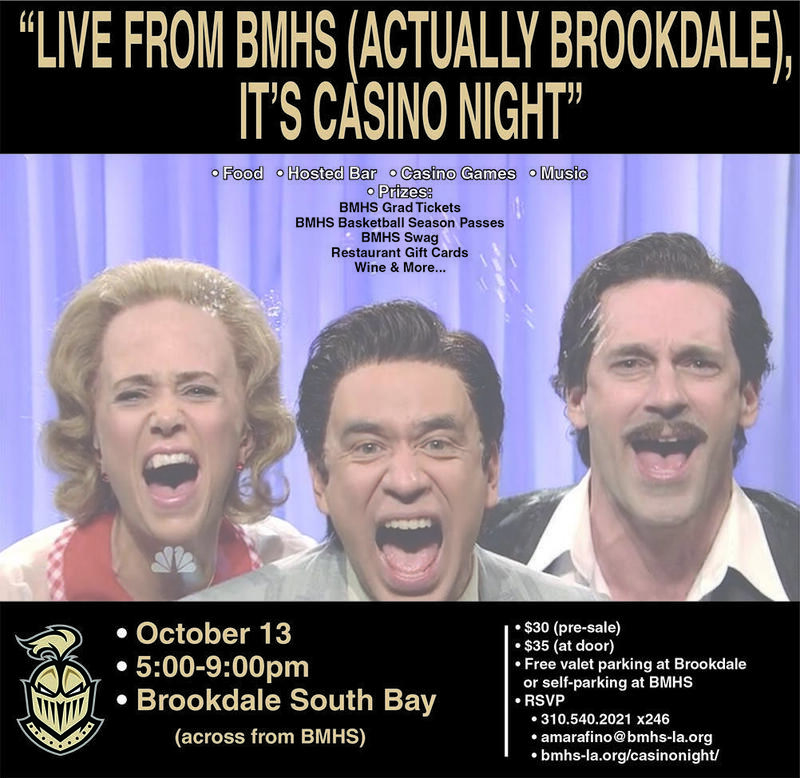 Join us for a fun night at Brookdale South Bay (right across the street from BMHS). 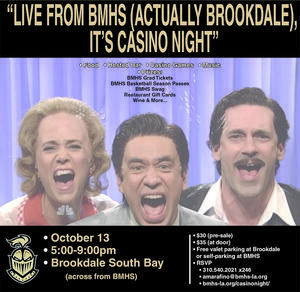 Our 3rd Annual Casino Night will be on Saturday, October 13 from 5:00-9:00pm. Cost is only $30 per person pre-sale and includes heavy hors d'oeuvres, a hosted bar, casino chips, music, prizes, and amazing fun! RSVP today! Click here to download the flyer.